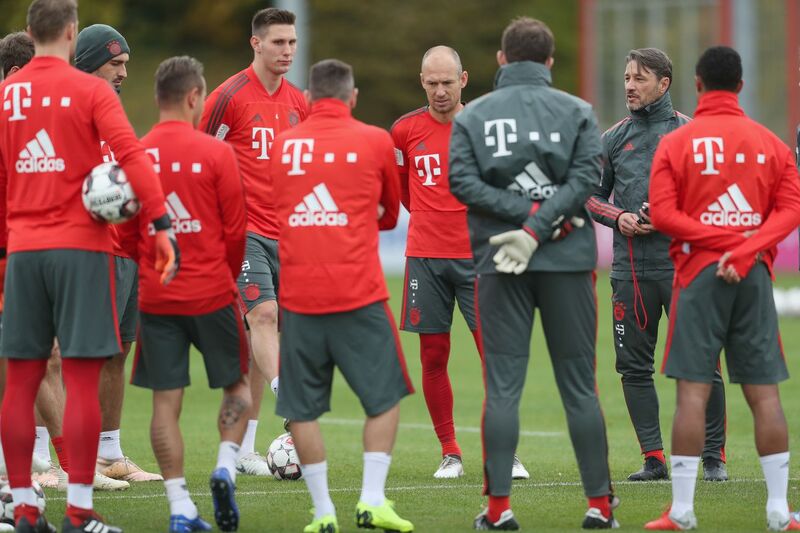 How will Bayern Munich lineup against Freiburg"
After yet another injury, Kovac will be forced to find a new system that can still get the job done. Just four days after Bayern Munich scraped by 4th division Rödinghausen, they?ll be back in action, but this time against a dangerous Freiburg team. With two big games next week against AEK Athens and Borussia Dortmund, will Kovac being looking to rotate and potentially sacrifice valuable points"
The big news is of course Thiago?s injury sustained in the DFB-Pokal match on Tuesday. However detrimental this may be, there is actual good news from Niko Kovac today. In his latest press conference, the trainer confirmed that the only unavailable players for Saturday?s game will be the aforementioned Thiago and the regulars Tolisso and Coman. That means that all of the players who couldn?t play against Rödinghausen are cleared. The highlights from this bunch include Mats Hummels, Arjen Robben, and James Rodriguez. The main question for the match?s lineup is how Kovac will adapt to Thiago?s absence with a different midfield three. If you haven?t already read our BFW Roundtable about possible solutions, click here.